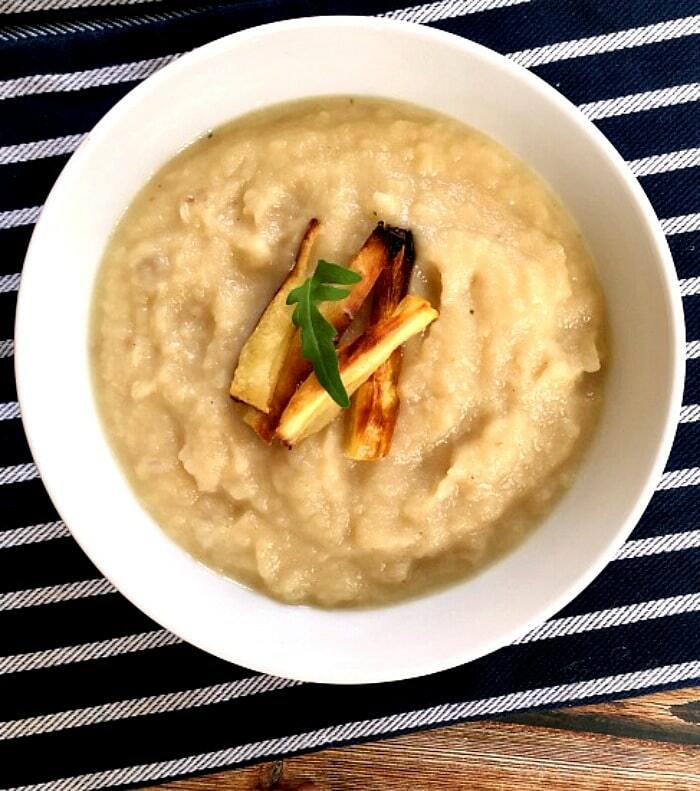 Roasted parsnip soup recipe, beautifully flavourful, with a big helping of parmesan. This really is one of my favourite soups, no matter what season. Unlike other soups that I blend well until smooth and silky, this one has to be thick. The chunky texture makes the soup a lot more filling, one bowl, and you feel your stomach so full, that there is no way you can have something else after. Which may not be quite a bad thing, if you want to be in shape for summer. Which, by the way, it was here only for a few days. But boy, I did feel it on my skin. There were only about 18 degrees C, which made me think that it was the perfect time to go back to my summery sleeveless pretty dress. Bad idea! I managed to burn my skin so badly, it was red and sore for a few days. Crazy British sunshine, I have never ever burnt myself like that, not even during super hot Romanian summers when the temperatures were well over 40 degrees C. Living in the UK, where sunshine is a rare thing, has made my skin quite sensitive. Oh, dear! Never mind! Going back to my soup, I find that roasting the parsnips gives that extra yummy taste I was after. Same as with tomato soup, where roasting give it that wow factor. It is an excellent soup for babies as well, my little one loves it. I do, however, skip the seasoning bit and I replace the vegetable stock with baby organic cube stock when I cook for her. Isn’t it amazing when you can literally feed the whole family from one pan? If you like the soup to have a creamier texture, you can swap the milk for heavy cream, but l find the soup to be naturally creamier anyway, so l prefer it less rich, so I can enjoy the very taste of the roasted parsnips. Adding parmesan cheese enhances that nutty flavour that makes this soup a real treat with the whole family. Worth a try! And what about some delicious Baked Parsnip Fries? 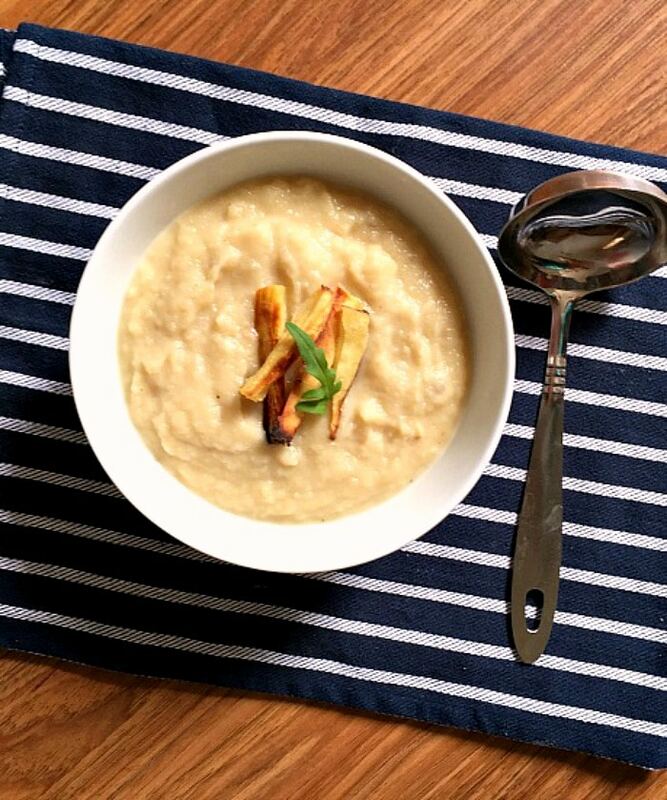 If you’ve liked my ROASTED PARSNIP SOUP or any other recipe on the blog then don’t forget to rate the recipe and let me know how you got on in the comments below, I love hearing from you! You can also FOLLOW ME on FACEBOOK, and PINTEREST to see more delicious food and what I’m getting up to. Peel and cut the parsnips into chunks. Boil in salty water for 10 minutes, then drain the water and lay the parsnips onto a baking tray and toss well with olive oil. Roast until golden and crunchy on the outside, this might take about 45 minutes. 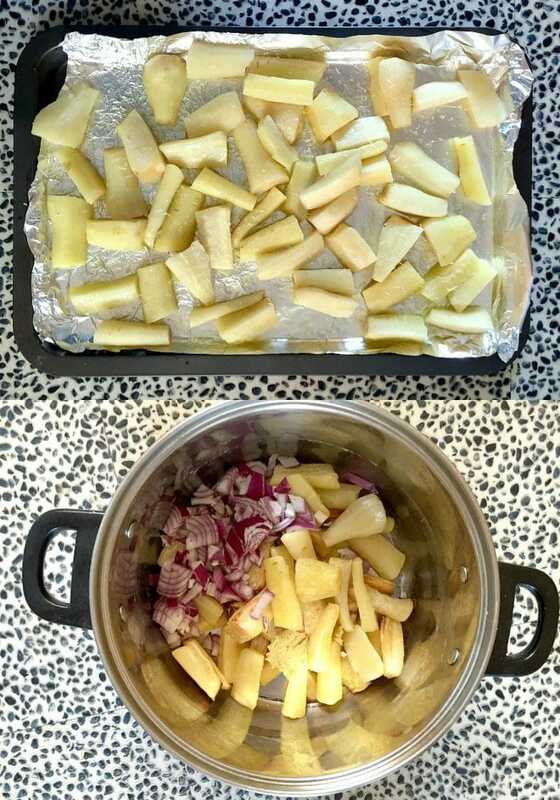 In a pan, add the vegetable stock, onion and roasted parsnips and cook for about 15 minutes until the onion is soft. Season with salt and black pepper, then add the parmesan cheese. Remove from the head and transfer the soup to a blender. Alternatively, use a hand blender, it saves time. 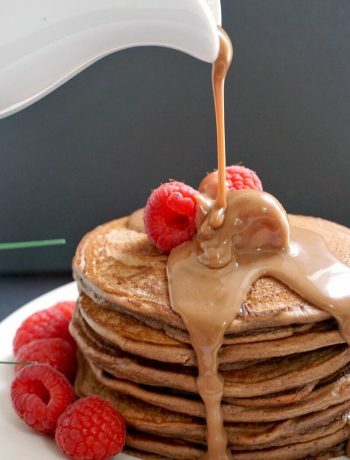 Blend to a thick consistency. Transfer the soup to the pan and add half a cup of semi-skimmed milk. Mix well and simmer for a few minutes, taking care as the soup will soon bubble. Pour the soup into a bowl and serve hot. 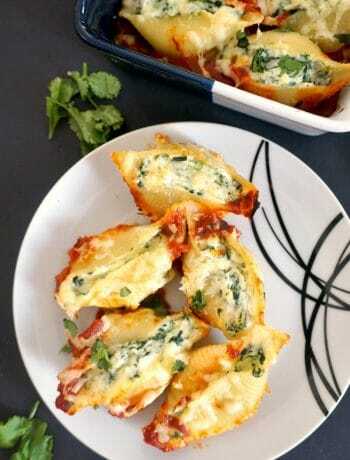 You may add chopped parsley or thyme, whichever you prefer. Delicious and inviting! I don’t like soups, but this one is so amazing! Awesome! 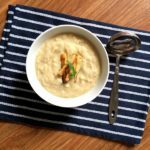 I’ve had several versions of parsnip soup – some thick, some thin – but I’ve never made it myself. I like most of my soups thick and hearty and this one looks just that.